Last June 8, 2013, a group of Hungry Minds volunteers organized and conducted a rummage sale at Sacramento Library in Pandacan, Manila. This activity aims to raise funds for the benefit of the children of Hungry Minds School. 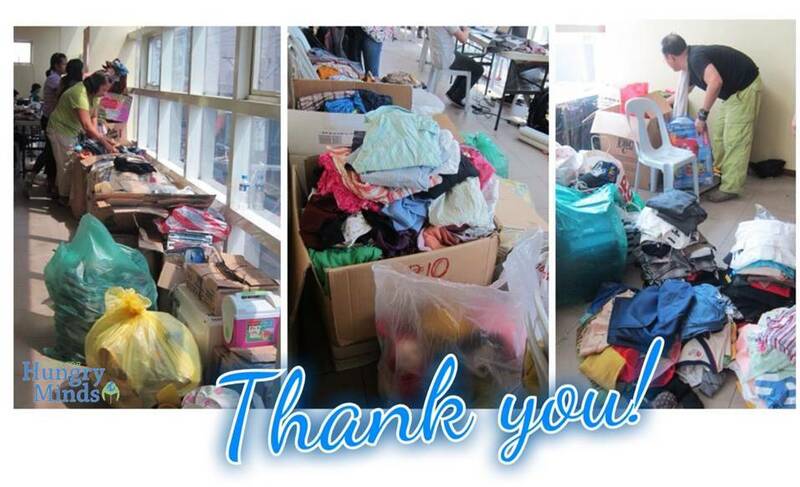 Old clothes, shoes, books, toys and other personal items were donated and were sold last Saturday during the said activity. Hungry Minds parents offered their time to help in conducting the rummage sale along with the other volunteers. The proceeds of the activity will provide meals for the children of Hungry Minds for this coming school year. Hungry Minds would like to thank ALL the participants especially the volunteers who organized the rummage sale: Oliver, Tiffany, Roger, Vicki, Lea, Carol, Cristina, Malou, Yvette and Jeannie. Thank you for your continuous support to Hungry Minds School!